I've been eager to share our engagement session photographed by Ashley Batz! We had so much fun taking these pictures! You can see the rest today on Style Me Pretty. Oh my gosh your pictures are so so beautiful! :) They're probably the best engagement pictures I've seen in a really long time. These pictures are absolutely to-die-for!! You two look so fantastic and in love!! Congratulations!!! So cute! And wonderful venue (the Golden Gate is my favorite location I've been to, to date)!! So sweet! You guys are beautiful. Congrats on being on Style me Pretty! Yay! These truely put a smile on my face. Super cute. I love both your dresses and you guys look truely happy! What a gorgeous couple and beautiful pics! Congrats! What a gorgeous couple! You two are picture perfect Taylor...like an ad Style Me Pretty would run for their blog...LOVE that neon number, fabulous!!! How cute are these! I ESPECIALLY love them because I got engaged in November on the Golden Gate Bridge (and I live in Colorado!). Our date is 9/8/12. So cool to follow along with you on this engagement! congratulations! I got married 2 years ago, we had a very small ceremony,cozy with friends...s o nice! enjoy all the preparations and everything you gotta do! and do not get stressed out... you won't though. So cute! Love your outfit choices! It's really great! I become happier when I see a beautiful and happy people! that chartreuse dress is an amazing color on you! pics are fabulous of course. oh my goodness! I cannot take the beauty/cuteness of this shoot! You both look amazing and so happy! Kudos to the photographer who captured everything so beautifully. Love these! So gorgeous. The San Francisco scenery is so romantic! Love that lime green dress! You look beautiful!! I love the photo of you guys in the street. so sweet! Oh my gosh, these are incredible! You're a natural! Love the backdrops, your outfits (that yellow and black number, hello?!) and the bits of personality infused. So great. You look amazing such a cute couple! Yellow is a great colour for you! Love x a million! Taylor, these are stunning! You two make a gorgeous couple. I'm so excited for you! omgsh these photos are precious!!! Aww, you two are so cute. Congrats!! so darling! you look fabulous, taylor- so happy for you! i love those black shoes! Reminds me of an pair I've had in my inspiration photo for years! Oh dear me, these are just perfect! 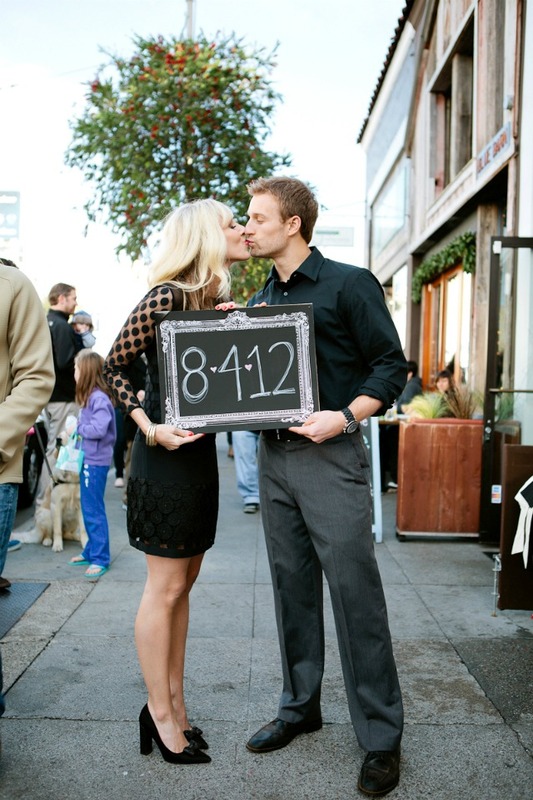 exactly how I would want my engagement session to look ;) Absolutely adore that second dress btw! What beautiful photo's, you make such a gorgeous couple!! Love the pics with the bridge in the background! Too too cute!! Love your bright yellow dress--it just pops so beautifully against the Golden Gate. I spent a summer in San Francisco, and it is most definitely my soul city! Love that place. And LOVE these pictures. Beautiful! Thanks for sharing. These are so great! So much variety and your bright dress is AMAZING. You guys are a beautiful couple. An absolutely beautiful collection of pictures! Congratulations again on your engagement! Gorgeous! You two are a beautiful couple! I love that black polka dotted sleeve dress! These pictures are beautiful. The ones with the golden gate bridge in the background are lovely. These are beautiful and I love the outfit choices. omg these are absolutely adorable! u guys are such a beautiful couple!! you are seriously stunning, and i can see how in love you two are in these beautiful pictures! These are absolutely lovely photos - you two look so in love and happy together. Bonus that they look so fun and in line with your branding too! And your outfit choices are gorgeous, gorgeous, gorgeous! Very sweet! Really liking the second outfit! I love how natural and fun these shots are...such a perfectly cute couple! Thanks for sharing these! wow!!!! congratulations!!! pictures are soo pretty!! Just stunning! I love that BCBG dress. Lovely photos! Especially that neon dress, it's a stunner! I just got engaged and my wedding is scheduled for 8/4/12 as well! i love the urban feel of your engagement photos! as an european living in the states i never understood the engagement photo sessions that couples do. it's one of those cultural differences that is still a mystery to me. however, as a lover of photography i love how these turned out. the backdrop on the first photos is beautiful and the rest is very adorable and playful! You two are so cute! I love the photo of you by the river with the boat in the background. Just gorgeous! 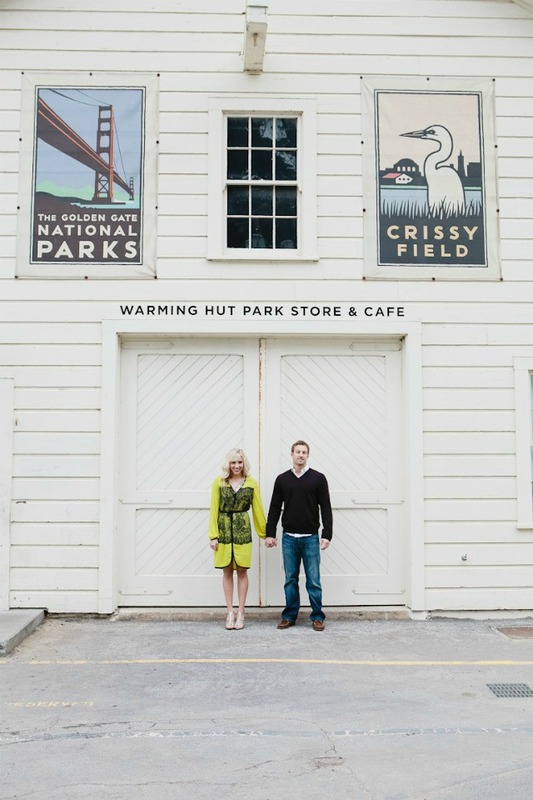 your SF engagement photos are so adorable! i love the last one especially with the blackboard. congrats! These are truly incredible! <3 and I love love love the colour of your dress! Your session looks amazing Taylor!! Congrats again to you both! Our session is January 30th and we're so excited to FINALLY get some good pictures of the two of us! Absolutely charming, Taylor! You two look fantastic! great photos! your yellow dress is SO PRETTY!!! I especially like the ''Susie Cakes'' photo, it's really cute. what a beautiful couple! congratulations again! These are beautiful, I love the one with the cupcake! You are perfection together!! !Photo at Sudies' is so so so you two! These were all so great! Congratulations to you! You both make a beautiful couple! What a gorgeous couple! And I love, love that DVF dress. Gorgeous Taylor! You guys are adorable!!! I LOVE the last two pics! Oh Taylor, I am completely in love with these pictures of you both - so sweet and romantic (and what treasured memories they will make). P.S. You are such a gorgeous couple!! Taylor! It looks PERFECT. You two make the cutest couples, and these photos are seriously phenomenal. Congratulations! These are incredible--you two are quite the handsome couple! Love the BCBG dress!! Can't wait to see more wedding-related posts! Love your blog and these pics. Chrissy Field? Ashley and I actually went to high school together! These looks are so beautiful, I love San Francisco, I guess because of the fact I was born there :) Anyways such lovely engagement photos. Taylor these photos are absolutely stunning! You guys look so, so happy together it's so great to see. And of course, your cute dresses are just perfection. Such adorable pics! And I love those Kate Spade heels! you guys are adorable! I'm so excited for you both! You guys are perfect! LOVE these! Can't wait to see the rest. LOVE! You look gorgeous! That chalkboard one is adorable! your hair and makeup looks superb! Love these photos! Fabulous! Best wishes! Wauw loving your pictures. Seriously amazing! Beautiful photos! Especially love the ones with the bridge in the background. You should make good use of these, maybe put one on the invite? I saw how you're planning your weeding yourselves only with online inspiration as help - I find that inspiring and can't wait to see what you'll get up to. If anyone can do it, it's you! incredible! Congrats again gorgeous couple! Too cute! These are the best engagement photos I have ever seen. Love your outfits also! Aw so gorgeous! I love the one where he's picking you up! totally late on commenting on this but had to...so. flipping. cute. love these photos! Congrats! great shots! and late congrats! These are the most beautiful photos! You two look so in love.